Group riding on motorbikes can be fun, but it can also make riding more dangerous and frustrating. Groups should be kept small and always make sure that all riders are at a similar level otherwise the slowest tend to be pushed and the fastest tend to be bored. It can lead to risk taking. This can also happen if one rider has a bike whose performance is much less than the other riders as they can be left behind under heavy acceleration. 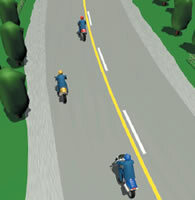 It’s more difficult for other vehicles to pass a long line of motorcyclists. The group should be aware when they are holding up traffic and pull over to let vehicles past (this is a requirement of the Road Code). A long stream of motorbikes can be frustrating for drivers emerging from side roads – frustration leads to making rash decisions. It’s also more difficult for a group of riders to pass a group of other vehicles. Set a time to meet up and a time to depart. Everyone should be at the meetup point on time, then do a quick safety check of the bikes, reconfirm the route, who to contact if there are any issues and any stopping points, then leave on time. Don’t delay your departure time for a tardy rider; riding is for the enjoyment of the whole group and is not to be spoiled by someone that doesn’t respect that by being late. Riders should ensure they don’t need to go to the toilet, and that they’ve got water and snacks (if required). Make sure that every person in the ride knows how to follow within a group by staggering positions when riding on straight roads. When the riding is staggered, each rider has more visibility ahead. You need to observe the two second rule, too. The only problem with maintaining this strict staggered position is that it puts half the riders on the wrong line for corners. Riders should therefore break the stagger to take a safe line through the corner. 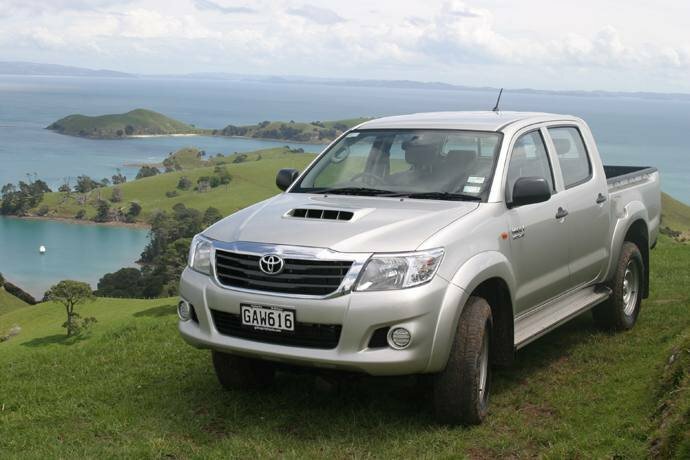 NZTA recommends to put the least experienced rider at the front, but many motorcyclists don’t agree with NZTA’s advice. Some motorcyclists say that the most experienced rider should lead the way to watch for road hazards, navigate, set the speed and watch for traffic. Putting the least experienced rider at the front gives them no one to follow to learn from. Inexperienced riders can ride in the middle of the pack, as long as they’ve been instructed how to ride in the pack and know where they are going. A considerate lead rider will ride to the abilities of the following riders. Riders that know the road can be better to put at the front as they will be aware of potential hazards on the road. Expect the lead rider to make decisions and take lines that you wouldn’t expect them to take. They could brake earlier than you would, so you definitely do not want to be tailgating. In a group it’s easy to succumb to target fixation because you are following the motorcyclist ahead of you; you can become fixated on that rider rather than scanning the road ahead, and if that rider makes a mistake you follow them into the mistake and can’t avoid it because you are looking at it rather than looking for your escape route. 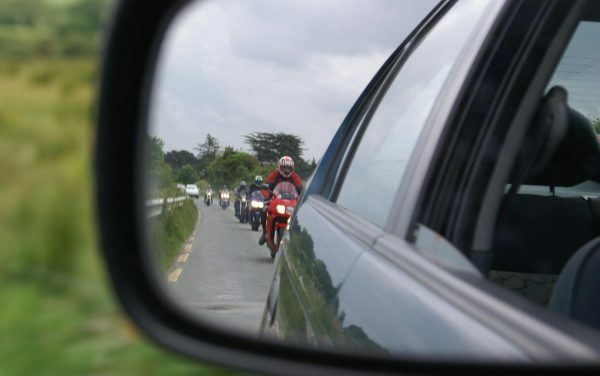 Always make sure that every rider has a full tank of petrol – you don’t want random riders making an unscheduled stop half way through a ride for petrol, then the lead riders wonder what has happened and they have to double back to see if there’s a more serious problem. Riders disappearing from the back of the group could mean an accident, or a hold up due to traffic. If someone does have to stop for petrol, another rider should carry on riding with the group to inform them. Traffic lights are the bane of any group ride in the city. It’s highly unlikely that the whole group will get through on one green phase if the group is large, therefore there needs to be notified waiting points. Some people in the group may want to filter through traffic, while others might not feel comfortable with it – this can spread the group out even more. Never ride with someone who has an ego. If there’s a person in the group who always wants to show off, this is bad. Going out on a group ride as your first ride of the year after a break riding is not a good idea. If you’re not riding frequently then you get out of practice. Drive to the conditions – watch your approaching speeds when coming up on traffic, particularly near intersections and motorway exits. Drivers who will be taking the exit aren’t necessarily looking for a motorcycle rider closing 40kph faster than the rest of the traffic. If you’re filtering through traffic, 20kph more than the traffic you’re filtering through is the maximum that is usually recommended. Plan stops. Different riders will tire at different rates, and riding tired increases the risk of an accident. All riders should be checking how far the rest of the group are behind them. Is someone getting left behind? While this isn’t necessarily a problem if everyone knows the route and you have a specific stopping point marked ahead, it can be a problem if the people near the rear of the pack feel the need to push beyond the abilities of their own riding, or their bike’s capabilities, to keep up. Routes can be planned using an app such as Google Maps which will also warn of traffic ahead. Leave details of your route with someone that isn’t going, and check in with them when you return.